Today’s mothers are often torn over the decision of whether to return to work after becoming a mother or opting to stay at home on a full-time basis. The reasons for both are many, and include financial and career considerations, a need to make a contribution outside the home, and a desire to engage with other adults. And of course, some women simply have no choice! However, the extent to which mothers would prefer to stay at home with their children, independently of the drivers that might motivate them back into the work, is something that was explored in the Sudocrem survey, and the results surprised me. Almost two out of three mothers (63%) said they would prefer to stay at home to raise their children if they had the option, and were in a position to do so financially. Upsettingly, a lot of women have told me that although they feel this way, they would be reluctant to admit it. Interestingly, in terms of the preference of mothers and grandmothers in regard to staying at home, the differences between both generations are not as divided as you might expect. Both mothers and grandmothers veer towards a more traditional desire to stay at home to raise children. However, staying at home can greatly impact ‘Me-time’ which is often one of the first things to be abandoned when a woman becomes a mother. All evidence points to the importance of mothers having some time for themselves, independent of family life. The results of the survey support the view that mothers’ time is extremely stretched with a significant number of today’s mothers having either no, or very little, time for themselves on a daily basis. and ♣ 1% have more than 4 hours a day. When asked what those of us who do find time like to do, the list reads like a dream list for any mum! ♣ 10% have a cup of tea/coffee. Having hobbies outside of one’s working and home life is extremely beneficial to maintaining health and wellbeing. For busy mothers, the hobbies and pastimes they enjoyed before the birth of their children may not be as easily undertaken when their home life becomes more hectic. 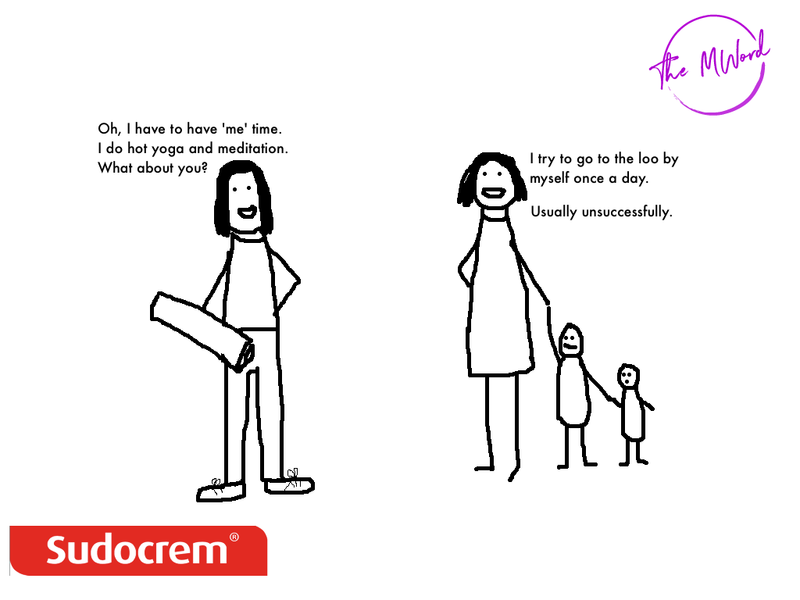 However, with both mental and physical health and wellbeing increasingly compromised by the fast pace of life today, Sudocrem sought to understand the extent to which mothers continue to pursue their hobbies post-baby. ♣ 9% said it was not applicable to them. Lie-in’s Ah lie ins! Who remembers them?? Life with children, particularly younger babies, is often synonymous with interrupted or sleepless nights — and a lot of hard work! Tiredness is something that all parents, particularly new ones, always mention as one of the more challenging aspects of parenthood. Getting a chance to catch up on sleep, for however small amount of time, can be a game-changer for overall well-being. ♣ 14% of mothers get a lie-in a couple of times a year. Mothers often speak about the guilt they feel from being away from their children or not dedicating all their time to them. Most mental health experts recommend that mothers taking ‘me-time’ is a positive thing to do not only for themselves, but their wider family. 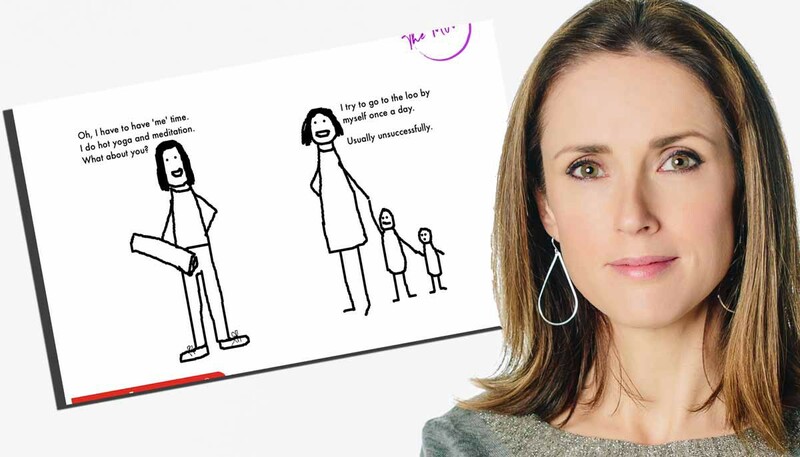 Sudocrem Ireland asked mothers about how they feel about taking time for themselves. ♣ Older mothers, over 35 years, feel less guilty about me-time (46%). Originally published at themword.ie on October 23, 2017.